Data warehouse is a database used for reporting and data analysis. Data warehouse stores historical data and current data also. These are used to create trending report for top management to take decision. Basically, data warehouse is a relational database, which also includes extraction, transformation and loading (ETL) solutions, OLAP engine etc. A data mart is the access layer of the data warehouse atmosphere, which is mainly focused on a single subject. It is a simple form of data warehouse. The key use for a data mart is business intelligence (BI) applications. There are two types of data marts – dependent and independent data marts. 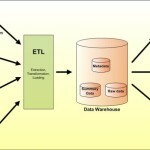 What is the basic difference between data warehouse and data mart? Data warehouse is dealing with multiple subject areas. But data mart is focusing on a single area. What is dependent data mart? This process is comparatively simplified. In this case summarized and formatted data has already been loaded into the central data warehouse. What is independent data mart? The architecture of independent data mart implies stand-alone data mart. It is controlled by particular workgroup or department. 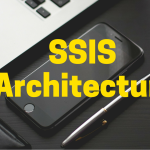 To implement the independent architecture one requires some technical skills. Bigclasses.com gives you an effective online courses on all these .